Today the focus is Tuskegee Airman Calvin Spann, who grew up in Rutherford. Mr. Spann died this past September. In future weeks we’ll look at the Underground Railroad in Jersey City, a slave cemetery in Little Ferry, and a famous black actress and civil rights activist who worked in Kearny. 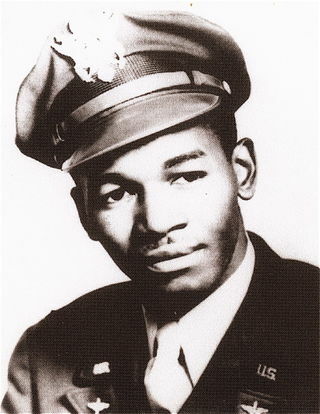 Calvin J. Spann, who grew up in Rutherford, served with the famed Tuskegee Airmen during World War II. From 1943 to 1946, 1st Lt. Spann served in the US Army Air Force, 332nd Fighter Group, 100th Squadron, as part of the famed Tuskegee Airmen — the first-ever group of black Army pilots. Spann was among an elite group of Tuskegee Airmen who escorted B-17 bombers and reconnaissance planes over Nazi Germany during World War. Spann flew 26 combat missions. In a phone interview yesterday from his home in Texas, Spann said: “My growing up in Rutherford inspired me to be a Tuskegee Airman. Planes from Teterboro Airport took off right over my house. Click here for more with Tuskegee Airman Calvin Spann. Super Bird Sunday Is Coming! Get some fresh air before planting yourself on the couch for the big game this coming Sunday by joining the Bergen County Audubon Society’s Super Bird Sunday nature walk! The walk takes place at Mill Creek Marsh in Secaucus, from 10 am to noon. 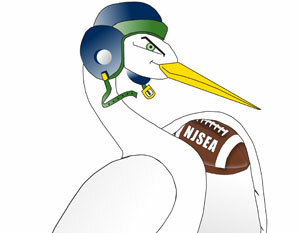 While looking for winter birds, the BCAS will award prizes to the first participants who spot a bird that is also an NFL team name: Cardinal, Raven, Falcon, Eagle, Seahawk (osprey), Giant (great) egret and Giant (great) blue heron. For more information on this fun and educational walk, email greatauk4@gmail.com or call 201-230-4983.